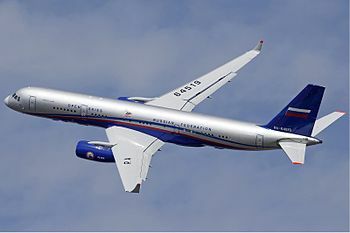 According to the Associated Press, Russia is about to ask permission of the Open Skies Consultative Commission (OSCC) in Vienna, Austria, to fly its latest reconnaissance aircraft, the Tu-214ON (left), over the United States. The airplane will have the latest in spy technology, including video, optical panoramic and framing cameras for daylight photography; infrared line scanners, giving it day/night capabilities; synthetic aperture radar, providing it day/night/all-weather capabilities, along with its “digital electro-optical sensor.” Image quality, thanks to the latest digital technologies, will allow Russian analysts the ability to distinguish between a military tank and an 18-wheeler from miles above U.S. territory. Today the United States has entangling alliances with nearly every country on the planet, resulting in the allegedly unintended consequences of such alliances as the Treaty on Open Skies which further abridge our national security as well as our national sovereignty. This entry was posted	on Tuesday, February 23rd, 2016 at 1:35 pm	and is filed under Politics, Technology. You can follow any responses to this entry through the RSS 2.0 feed. You can leave a response, or trackback from your own site.